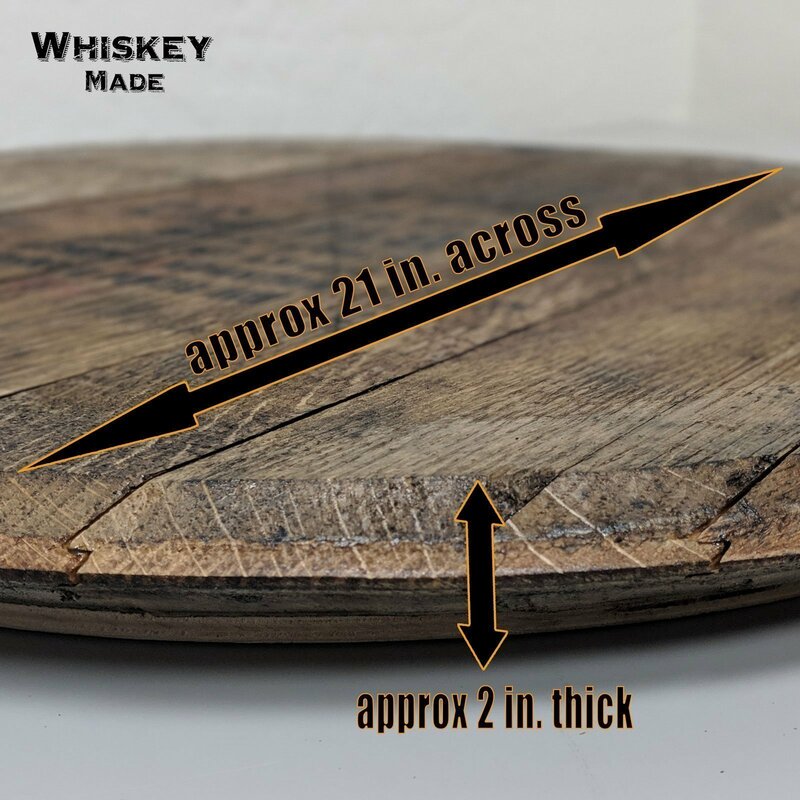 The barrel heads used to craft our one-of-a-kind lazy susans came to our workshop straight from the distillery, where they recently finished aging one of your favorite spirits. 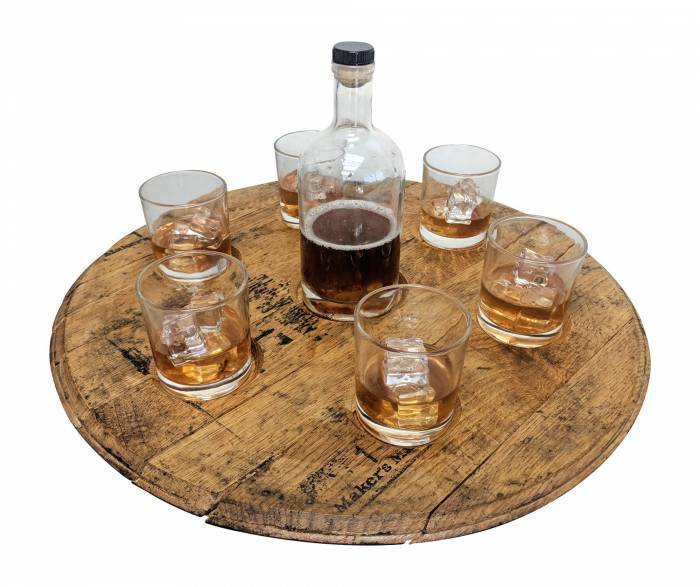 These add an authentic piece of the Kentucky Bourbon Belt to your family’s table, and are a must for any whiskey lover. 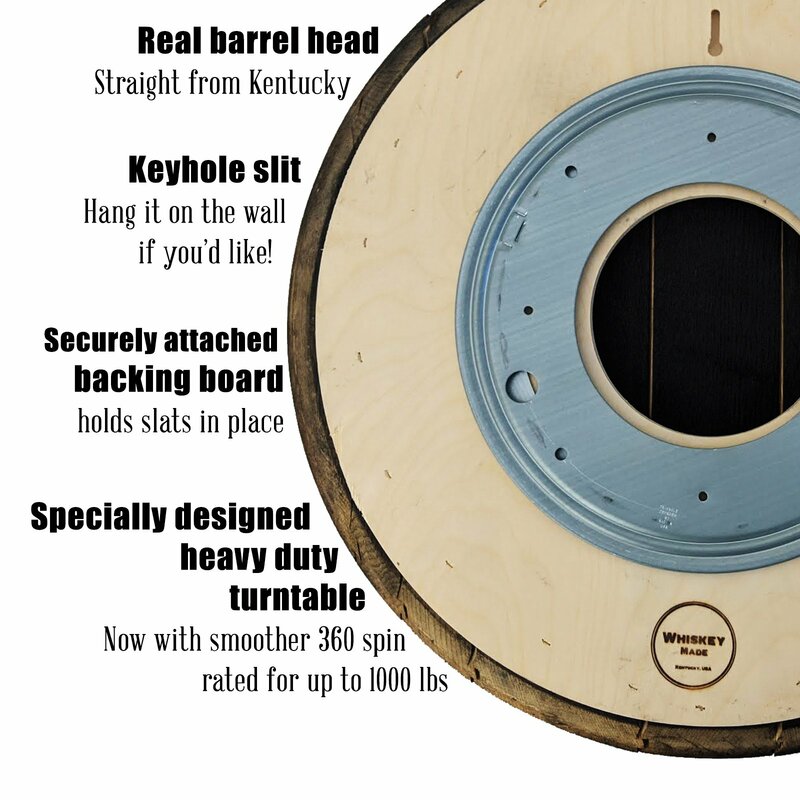 It comes out of the box ready to use without any assembly or installation needed. 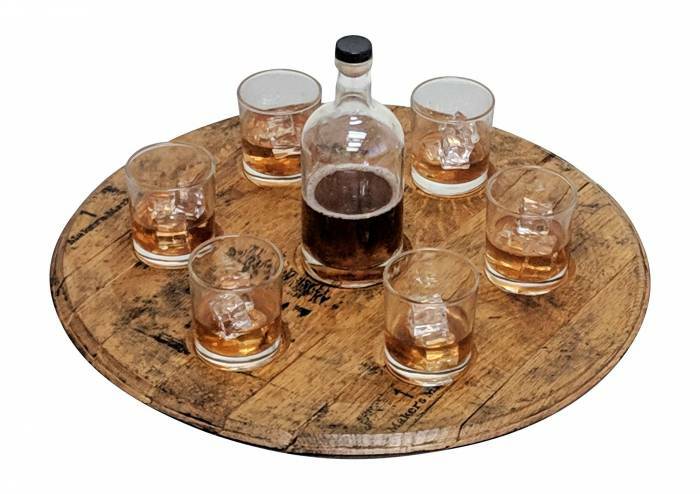 NEW: We’ve added the option for precision-cut indents for our premium rocks glasses and decanter set, which we’re pleased to offer as an ad-on. 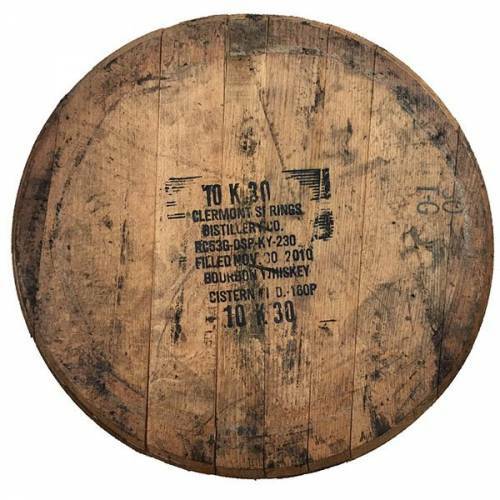 Distillery-used bourbon barrel head has char underneath and batch markings on the top. 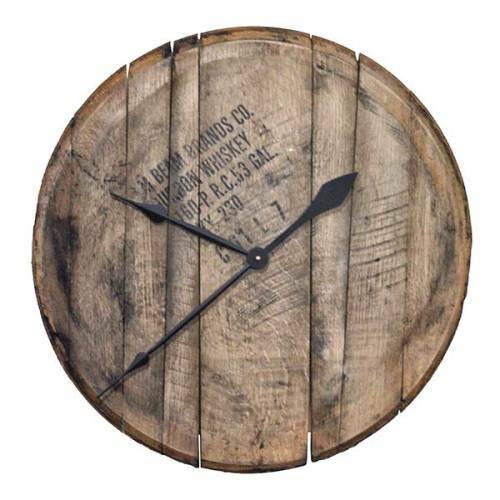 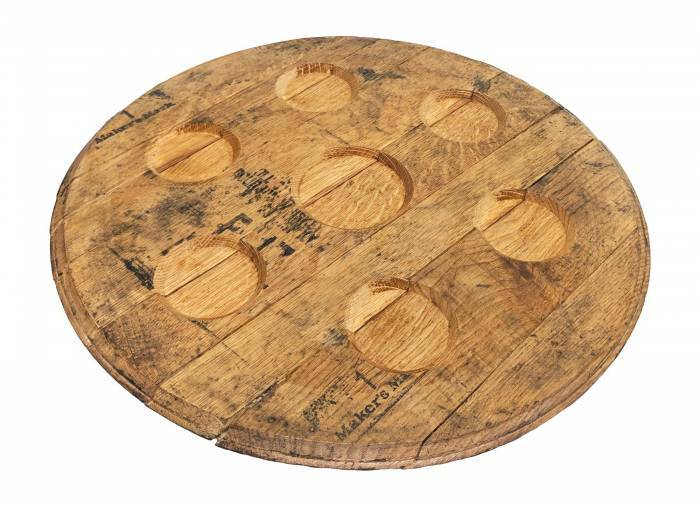 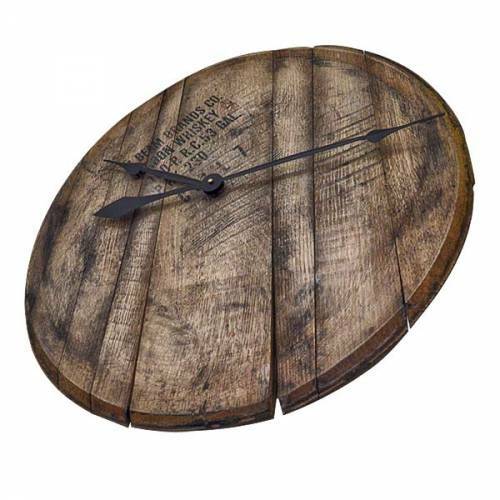 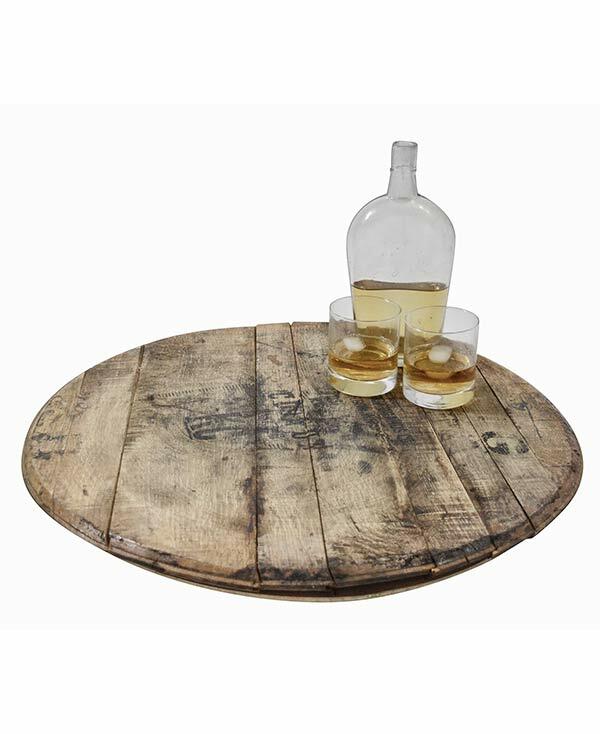 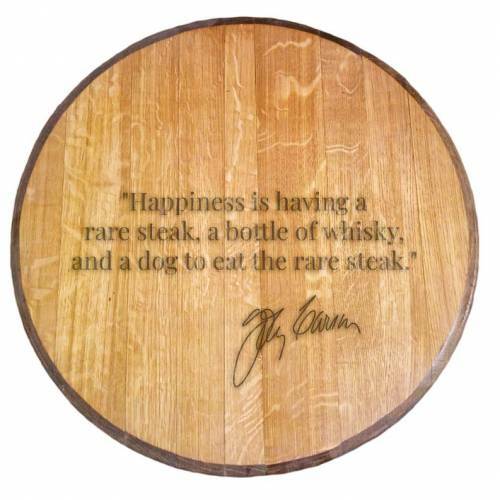 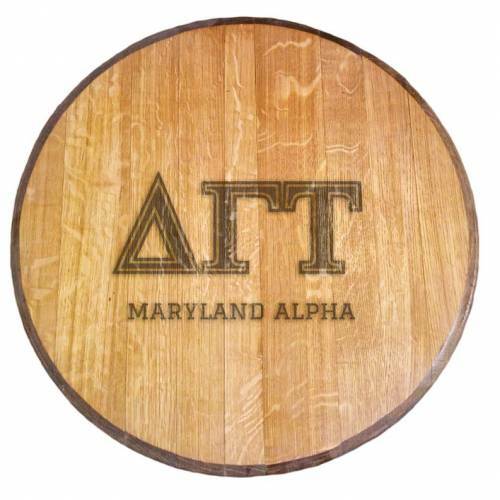 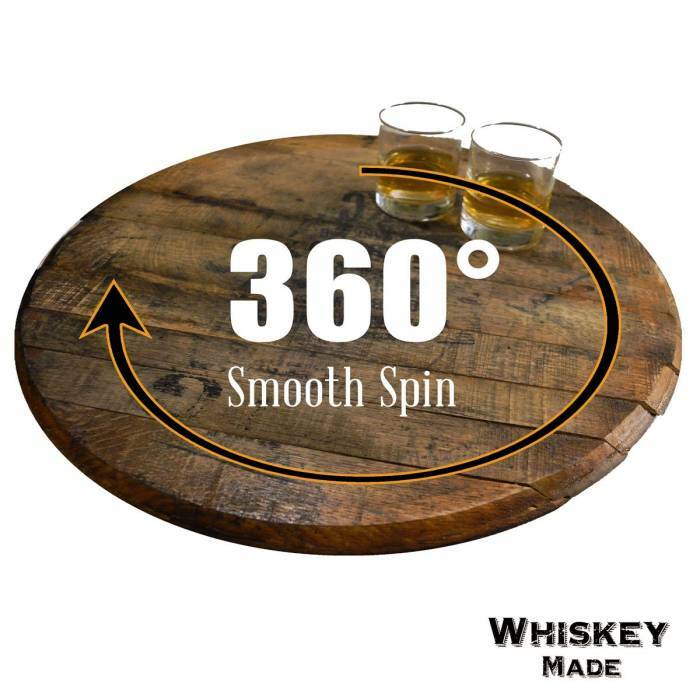 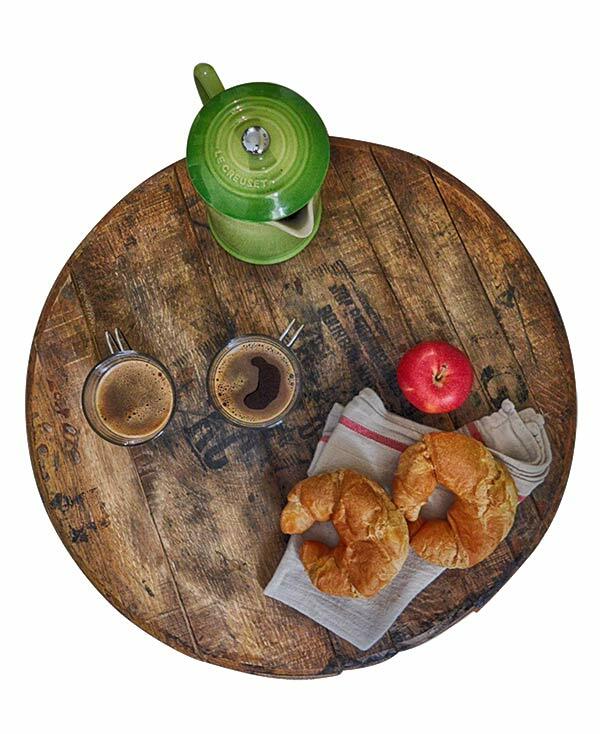 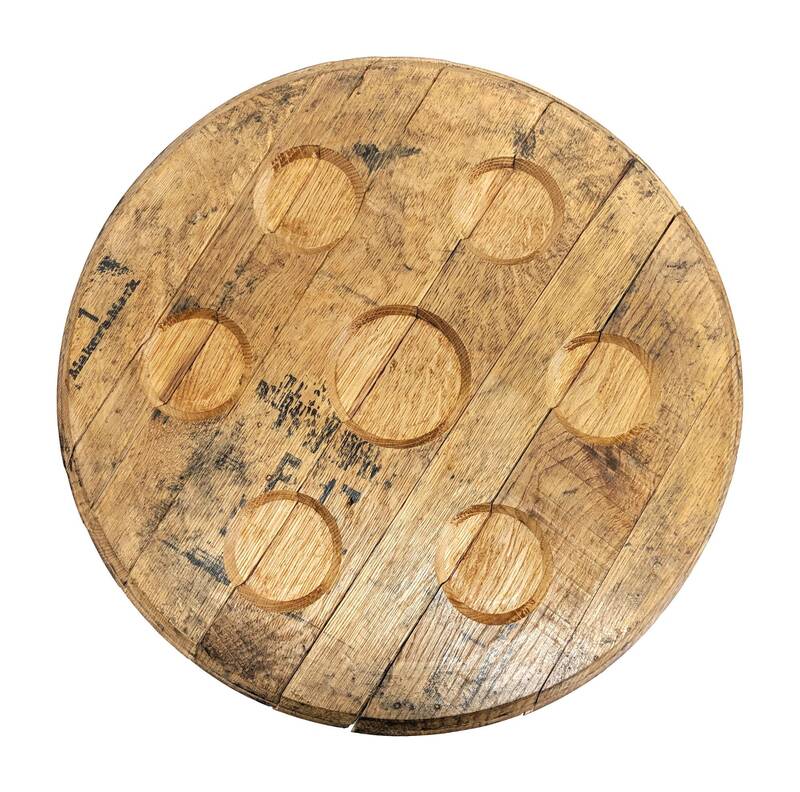 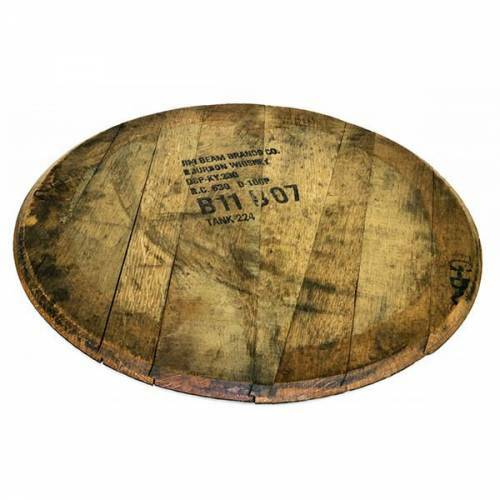 Contact us if you’d like to ask about customizing your bourbon barrel head lazy susan with a phrase, logo, name, or any other design.